December 10, 2014 March 15, 2017 Shawn Course Strategy. Today’s tip is all about course strategy. This is a par 3 that is about 230 yards long. Most of the trouble spots are left of the center of the green. The ball needs to land on the right of the green to be in good shape. We want to avoid hooking it because that will land us a double bogey. 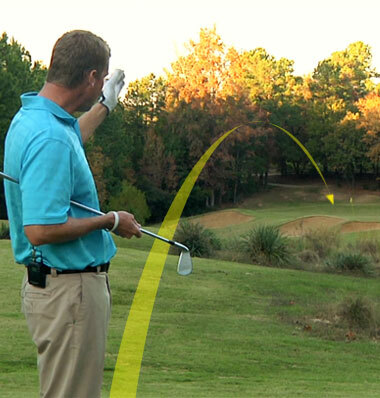 The goal is to hit a fade toward the trouble and allow the ball to travel away from it in the air. Execute the shot you’ve planned to stay away from any trouble spots. Hi Shawn, I have read and studied your book and it has helped me bring my game from the low 90’s to the low to mid 80’s. I still have trouble dropping my arms first on the down swing consistently. 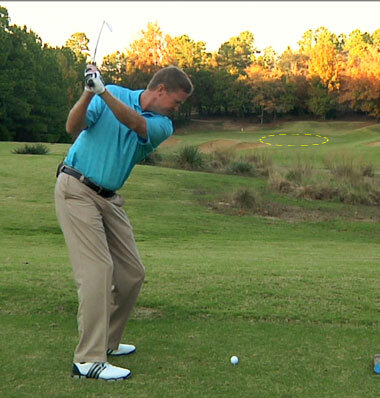 When I am loaded up at the top of my swing, I feel the need to start my down swing by driving my hips. Is there an exercise that I can use to get the feel of dropping my arms first?